Its been quite a break from this here blog o’mine. But that’s ok. Instead of wallowing in my own self mommy pity, I have enjoyed my family time, for I know it is a precious time that will soon be a distant memory as soon as *pilot season* starts. Luckily for us, St. Patricks Day was on the calendar, so the kids and I had a fun time celebrating our Irish Leprechan day. We started by eating a big bowl of Lucky Charms or Fruit Loops. Both good sugary-and-delicious-red-dye-40-once-a-year-choices. Next up was a fun rainbow craft where the kids glued the left over Fruit Loops in the right order and cotton balls on the clouds, which of course I forgot to take a picture of. Whoops. 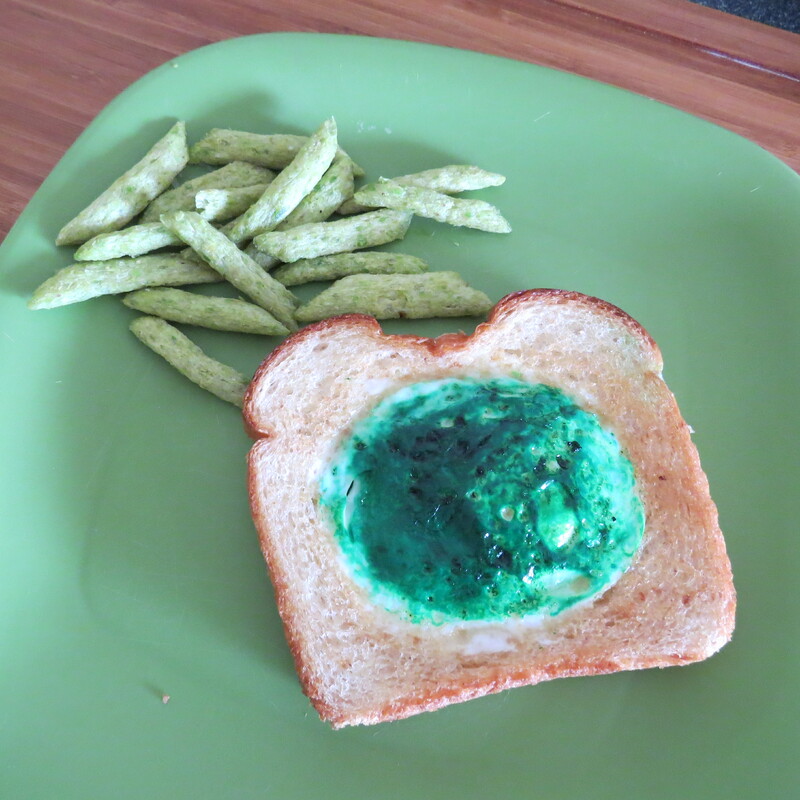 Then I had to make my usual green eggs, but this time I decided to make them IN toast, which the kids really enjoyed. 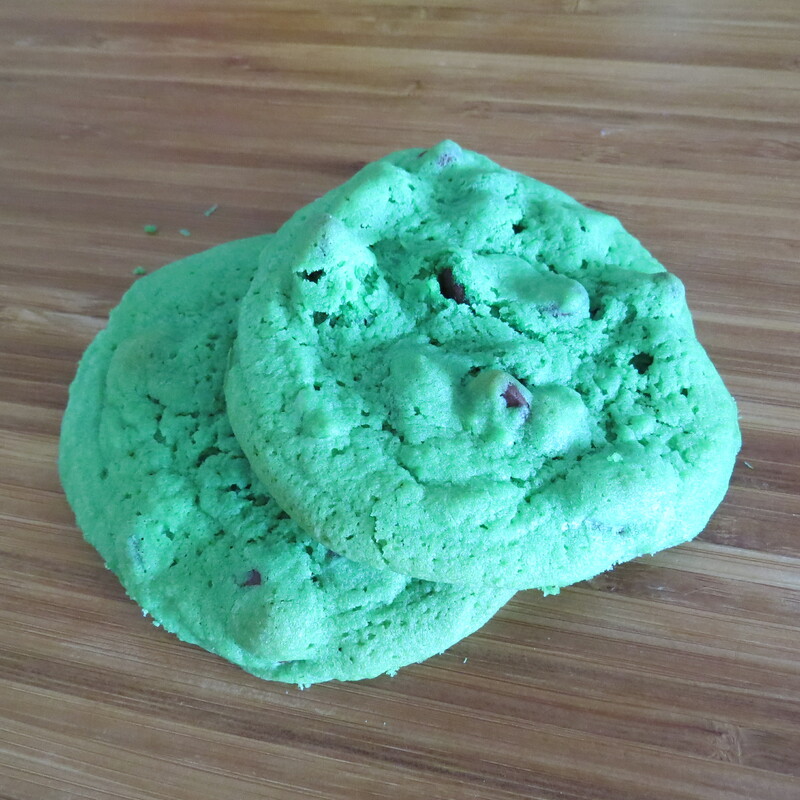 Since green food was the agenda of the day, we decided to make Mint Chocolate Chip cookies. And my oh my were they a hit! This was my first time making them and I think this might become a new tradition I brought them to our bible study group that met that night and they were happily enjoyed by all the big kids at heart as well. Considering we don’t usually eat dinner with the kids tuesday nights due to our bible study group, I had our semi traditional Irish feast later on the week. Nobody was the wiser. We ate overly salted corned beef from good ole Costco and steamed cabbage seasoned with butter and salt. I was shocked when even sweet Little Rascal had his fair share. All in all, we had such fun with one of my favorite holidays. I’ve been pretty MIA lately. Mostly because I’ve been taking care of my constantly sick family. 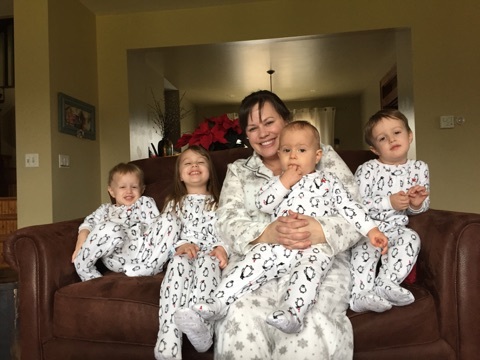 When you have 4 young children, one of them is always sick at a time. Meaning, Child A gets sick for 2 days starting Monday, while everyone tries not to. Wednesday comes along and Child C starts vomiting in their bed and Child B is extra fussy. 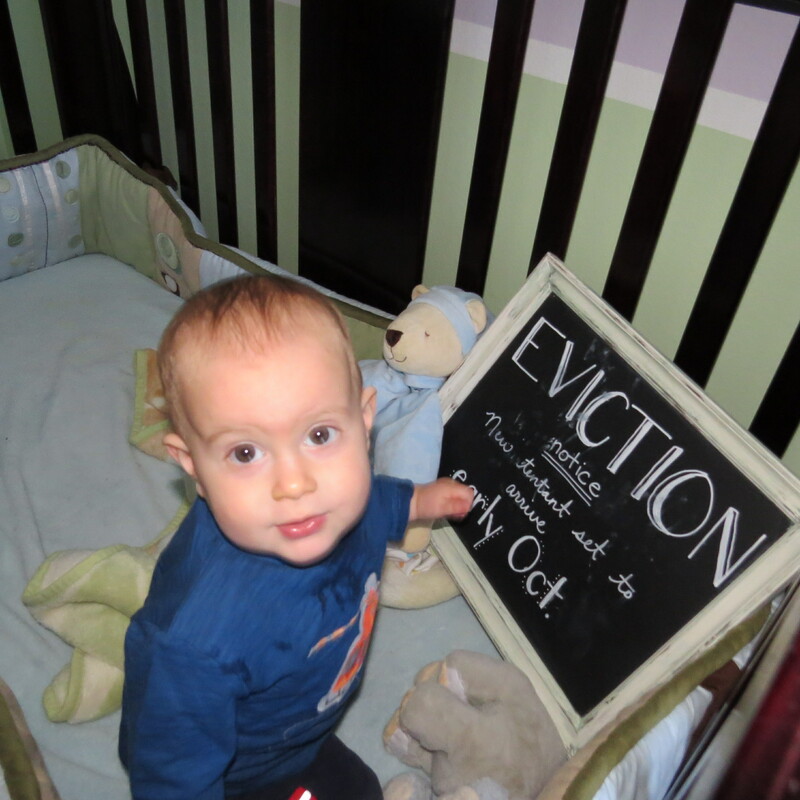 By Friday Child D has another diaper blow out and now you have zero clean pajamas for this kid. Also, Child A is finally eating again, although its only plain toast and a banana (if your lucky), and Child B’s bed sheets needs to get changed again, and Child C hasn’t eaten solid food since Monday. At the end of the day I nearly pass out from exhaustion and am often caught sleeping on the couch unaware that I’m probably drooling on the couch cushions. This happens at 9pm when I usually don’t go to bed until 11 or 12. Needless to say, I’m a pretty tired momma. And the few times that I have the desire to sit down and blog? My brain turns from mush to liquid and I can’t keep a thought in my head, let alone type it out in a blog post. But rather than focus on all the negative, I thought I’d share another one of my passions. READING. I love love love to read. Like I say in my bio, I am having an ongoing love affair with my Kindle. I finally was in the mood for a book that has been on my list for a couple of years. This is an American momma author who is raising her children in Paris France. I was blown away by some of her observations and thought for the first time in my life that perhaps I do like the French after all! Here is a brief summary of differences between modern, LA based, middle class American parenting and modern day, middle class, Paris, France parents. They have high expectations of their little ones. Not so much a “seen and not heard” mentality, but rather, they see their children and little people who are fully capable of acting in a manner that is pleasing to the adults in the room. The evenings are for adults and their time. They bake every chance they get with their kids and encourages 4-5 year olds to fully master a recipe without any adult help. They talk to their kids like little adults (a bit more of an equal relationship) rather than viewing them as beneath them. Mommas were not into making new friends. They take the phrase “it takes a village to raise a child” perhaps a bit more seriously than we do here, what with their esteemed day care system that takes more finesse to get into than Harvard. 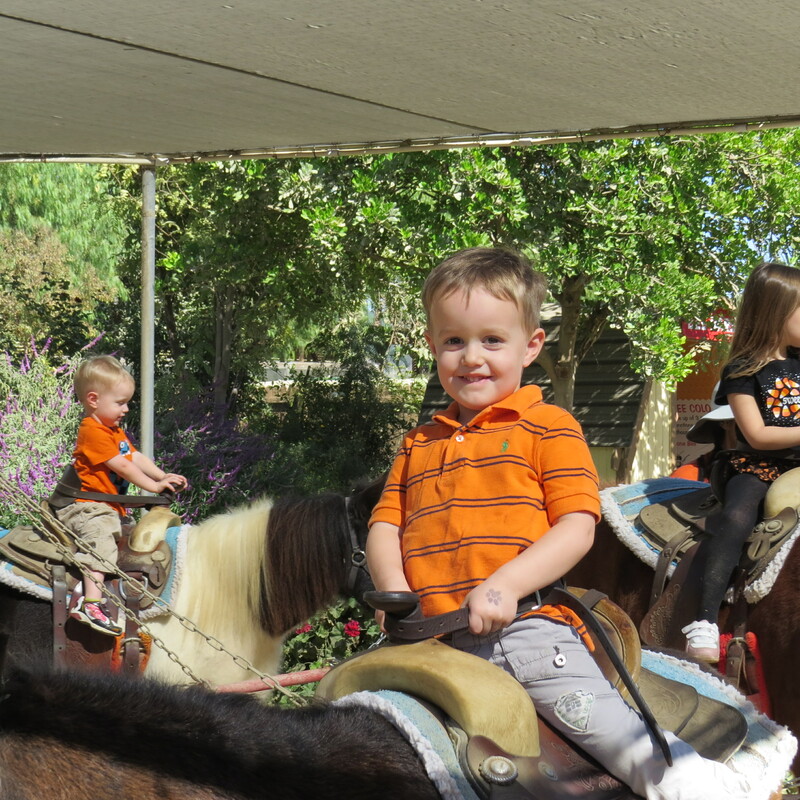 Granted, I do not at all consider myself a regular average LA mommy. Not in the least. Mostly because I take my parenting advice straight from the bible and most of my mommy friends do too. But for an entire city (and the author made it sound like the entire country), to have a few key similar values struck me as quite interesting. Kids do not have to be catered to to reach their full potential. In fact, the more catering you do, the less potential they have. I strongly feel like my generation of fellow parents are too hands on in catering to the whims of their little bosses, aka children. Something Pamela mentioned several times was the perception of the American Child King. We idolize our children to an unhealthy degree. We no longer see ourselves as the person in charge, therefore unable to successfully put down ground rules that our children will follow. We discourage our children from overcoming challenges and just simply do it for them thinking that it is helping them, when in fact it is hurting them. Our playgrounds are actually too safe. Kids don’t know how to get hurt and then pick themselves back up again. And on the flip side, parents don’t know how to prioritize their lives, and often times have their children right smack in the middle and center of their lives. The kids are the sun and parents are the earth simply rotating our axis around them. This is obviously unhealthy for parents and their union, but it’s also highly unhealthy for kids as well. At my house, we have the phrase “every night is date night!” as our couple mantra. The kids go to bed and it is our time, and unless Music Man is working, it is designated time meant for one another. On big date nights, we will often grab take out and watch a favorite tv show together. Doesn’t matter what it is, it matters that it’s just us. The Child King also gives rise to other neighborhood issues. The face of bullying is no longer the pimply mean kid who has no friends. Today’s bully is sophisticated, popular, and Eddie Haskel-like. They are used to the world bowing at their feet and when people don’t do that, they retaliate. They had to learn that they were the center of the universe at some point and it must have been early on in their short lives. At the very least, this book opened my eyes to the fact that I and parents across the globe can agree on certain ideas about family. I’m just sad that I and many of my counter parts right in my own backyard don’t agree. This has inspired me to randomly have a Book Club posting. Are you reading anything interesting? Want me to read it and discuss it here? 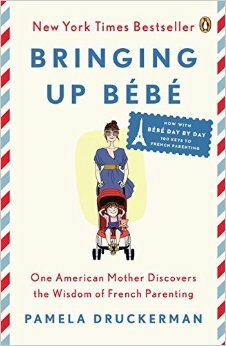 Have you read Bringing Up Bebe and have a few things to say? Agree with me? Disagree vehemently? I’d love to hear it all! Lately, my frustrations with Little Rascal have come to a head. His refusal to eat normal foods have hit my level of patience. I finally threw in the towel and waved the white flag. I finally made the call. I called our local child therapist center where Little Rascal and I went in for him to be evaluated. After an hour and a half with him, he was officially diagnosed with Sensory Processing Disorder. Our very kind evaluator was concerned when she gave me her results and cautiously asked “are you ok with this?”. I probably surprised her when I said (a little too enthusiastically) “YES!” You see, since I have been grappling with ‘what’s wrong with this poor kid?’ for so long, it was so freeing to be able to put a name to face, er… a name to problem. To finally feel like I haven’t been going out of my mind, was a great feeling indeed. Pediatricians, family members, friends, and even daddy all had at one time or anther said “Oh he’s fine.” “He’ll snap out of it.” “It’s just a phase” “He’s just being naughty”. For this professional to validate my concerns was such a weight lifted off of my shoulders because I knew then that we can move on because now we would finally have help. 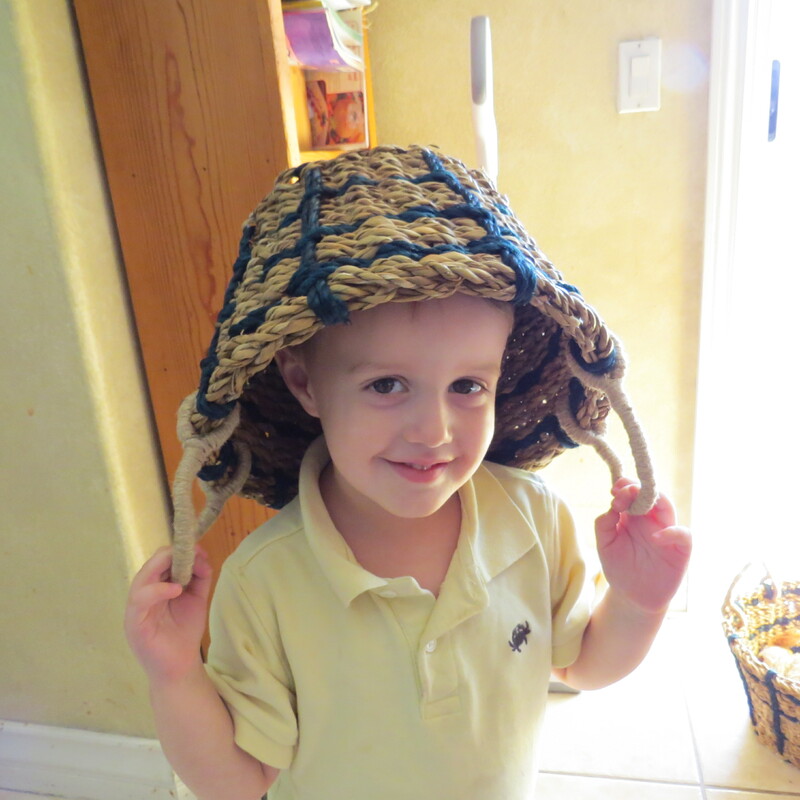 Our therapist said that yes, he does indeed have Sensory Processing Disorder, and more specifically, his biggest concerns are with his movement and tactile senses. 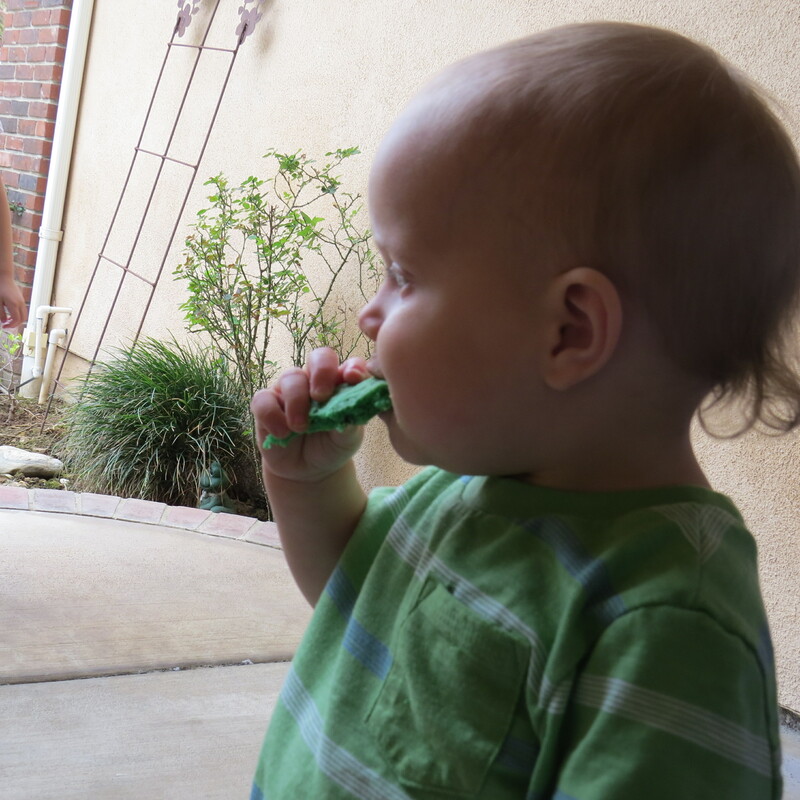 I must not have been paying too much attention to his delayed gross motor skills, but he is 6-9 months behind. I mostly knew that this kid wasn’t thrilled with certain textures or being messy, but didn’t quite grasp the full importance of it. Both of these issues are the main reason why Little Rascal won’t touch most food. I don’t fully understand it all, but am committed to the process if it will turn our lives around. Living with a child who refuses to eat 90% of the time is stressful beyond belief. You come to the realization that you simply can not force the issue. It puts you completely at their mercy. For this strict-take-no-sheenanegans-momma, this is a hard thing to swallow (pun intended). It has been the biggest mommy challenge I have yet to face. She recommended that we have a once a week occupational therapy session with their resident food specialist. We went our first week and cautiously went on the trampoline, where he sat on my lap the entire time. Then we moved onto the ball pit with much trepidation. Once we were inside though, Little Rascal loved popping the balls and sorting them by color, but was covering his eyes during the “popping part”. It was pretty cute. After meeting with our therapist, she recommended that we also participate in their ‘food group’, which is basically a time where several non-eaters eat together with their therapists watching and observing. This is just the beginning, but I hope its the begging of a new day. Remember when I said that my New Year’s goal and motto was “LESS IS MORE!”? Well I do and I’m keeping my word. Ever since we came back from Minnesota for our Christmas vacation, I have been diving into our piles of stuff and selling or donating as much as I can. Its nearly become an obsession. I have been doing this since September of 2013!!! Ever since we moved to another state with nothing and lived with the very basics, I have been a changed woman. I have understood the value of having less stuff. Less stuff means less time taking care of said stuff. You see I am a recovering hoarder and stuff has become my enemy. With the chaos that Christmas can bring, it creates a whole new challenge of managing our massive quantities of stuff. Getting rid of stuff has practically become a full time job. But my heart gets happy when another pile of clothes gets donated or another piece of furniture gets bought. In fact, recently I have decided to stash my earnings in a separate place and decided that if I wanted to buy something from one of the sites that I was selling from, then I would have to use my stash. Well, I found a dresser that was perfect for the master bedroom! I mean its gorgeous! Pearly white with a black top that someone lovingly restored. Best part? I had made enough money selling off my childhood furniture to buy this piece that ‘spoke to me’. It felt great to get rid of (a ton) of old to make room for the new. And to pay for it with my earnings? Bonus!!! When I am deliriously tired from the constant kid needs and homeschooling and no husband to help (he’s always working), but still need to purge our house from my enemy, I focus on that feeling of euphoria when it will be gone. Good riddance to used stuff. Hope it blesses others as much as it does me by not having it!